*Clears throat* Everybody, can I have your attention please?! Take a look at these frames. Welcome Colors of Birch to the world of eyewear. And what a brave new world it becomes. Pekka Salokannel, a Finnish designer has come up with his first eyewear collection: Titanic. 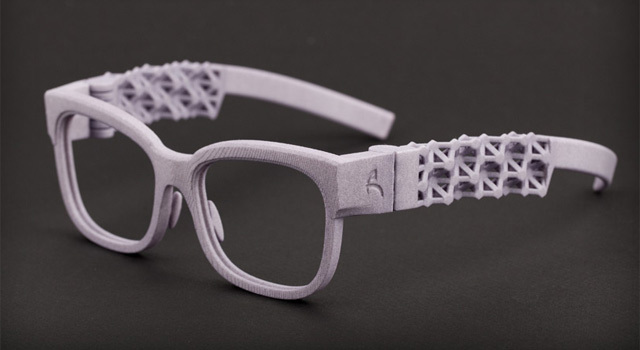 This is, I think, the first professional 3D-printedeyewear collection, a truly seminal moment. 3D printing is a manufacturing technology where an object is created by laying down successive layers of material, in this case Nylon. The collection comprises five and half frames (including one monocle! ), designed in Finland and made in the Netherlands. Obviously the temples are amazing, but those hinges are pretty exciting too, are they not? 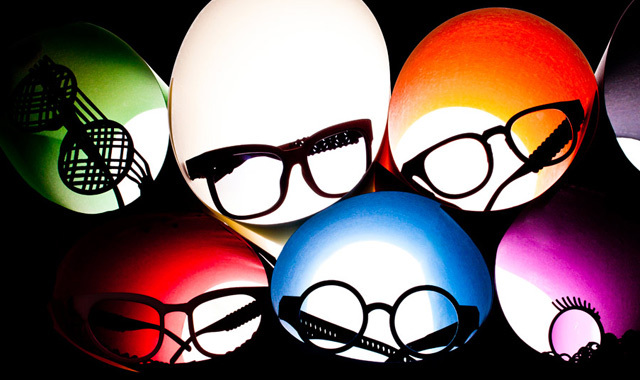 Forget those things you wear to the cinema; this is 3D eyewear! Colors of Birch is launched on 3 October at the Finnoir exhibition in Paris. Hope to bring you more images soon.